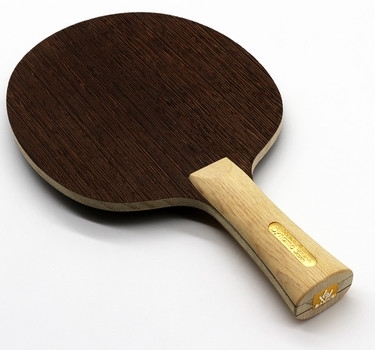 Recommended for offensive topspin players. Provides everything that is required for the modern attacking game! Very comfortable handle and visually appealing finish. The seven finely tuned wood veneers with the Kiri core and Wenge exterior veneers.